An insurance agent from Five Brothers Insurance isn’t out to make a quick buck by selling potential policyholders unneeded policies that do nothing to protect their best interests. Instead, we work closely with policyholders to ensure that we find them the optimal policy for their unique needs. We have remained an independent, family-owned and operated, insurance agency for generations. Without having insurance carrier partnerships, we are able to shop the market for the policy or policies that best meet your unique needs. Your Five Brothers Insurance agent will take the time to truly understand your coverage requirements and do their best to work within your budget to find the ideal policies for you, your business and/or your family. The policies we present you with will be the very best policies for your individual circumstance. At Five Brothers Insurance, the exceptional service and support doesn’t stop the moment you sign up for a new policy. Instead, your insurance agent will be dedicated to ensuring that your policyholder experience is best-in-class for as long as you hold your policy with us. Whether you need to shop additional policies or are in need of insurance claim assistance and support, our team is here to help. 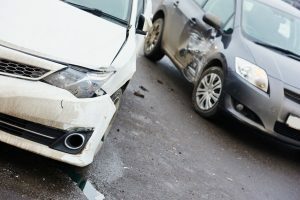 If you are looking for personal or commercial insurance policies in Tampa, St. Petersburg, Clearwater, Dunedin, Tarpon Springs or any of the neighboring cities, turn to an experienced insurance agent from Five Brothers Insurance today. Contact us now to discuss professional liability insurance, auto insurance, life insurance, or any other policy need you might have. We look forward to serving you!